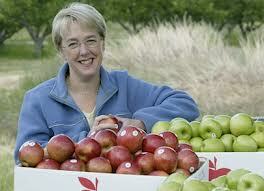 Donkeylicious: Is Patty Murray To Thank For The New Lady Senators? Is Patty Murray To Thank For The New Lady Senators? Kate Sheppard's post on the new female legislators (via Bernstein) reminds us of how women perform as well as men in elections, but are less likely to run. This year, Democrats had a large number of excellent female candidates, particularly in the Senate -- Tammy Baldwin, Elizabeth Warren, Mazie Hirono, and Heidi Heitkamp. It's not like we did badly on the male side either, with Joe Donnelly, Angus King, Chris Murphy, Tim Kaine, and Martin Heinrich. But especially given lower female representation at the levels preceding the Senate on the career ladder, getting all the good female candidates we did is a great achievement. 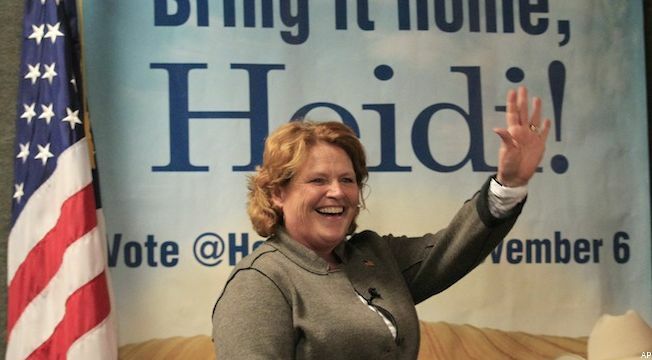 Simply as a candidate, Heitkamp stands out above everyone else. When the North Dakota seat opened up, everybody thought it'd be an easy Republican pickup. And as far as I know, Rick Berg didn't self-destruct in any Akin- or Mourdock-like way. According to many nonpartisan reports, Heidi Heitkamp was just such a nice person that North Dakota voters elected her while going for Romney by a 59-39 margin. There's probably nobody else in North Dakota who could've won that race. Patty Murray of Washington State was the chair of the DSCC this cycle, and perhaps she's the one to thank. If the big problem in getting women into office is getting them to run in the first place, maybe putting a woman in position to do candidate recruitment is the way to go. Definitely if Murray can find us some more Heidi Heitkamps, I'd love to see her in charge of the DSCC for the 2014 cycle.